One of my favorite genres from classical music is the concerto. I love all types of concertos, including cello, clarinet, flute, oboe, etc. My two favorite instruments I like to see as solos performing in a concerto with the Houston Symphony Orchestra are the piano and violin. I have three great horn and trumpet concertos that are all from the Classical Era, that all have the characteristics I named above. 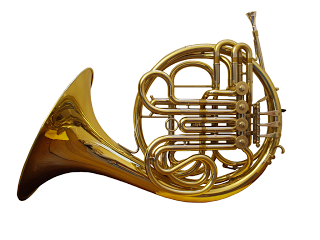 W. A. Mozart's Horn Concerto #4, Franz Joseph Haydn's trumpet concerto, and Johann Nepomuk Hummel's trumpet concerto. All of these concertos are in E-Flat Major. Mozart's horn concerto #4 has three movements: 1. Allegro Moderato 2. Romance - Andante and 3. Rondo - Allegro Vivace. I really love the playful exciting third movement. Papa Haydn's trumpet concerto in E-Flat Major may be the most recognized and played trumpet concerto's of all. I, along with most classical music fans, love this concerto. Haydn's concerto has three movements: 1. Allegro 2. Andante and 3. Allegro - Rondo. 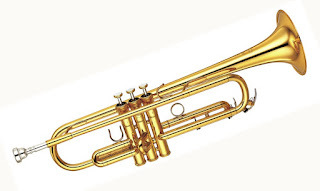 Hummel's trumpet concerto is a lively fun concerto. While I love the Haydn concerto, the Hummel is my favorite trumpet concerto of all. It also has the typical three movements: 1. Allegro con spirito 2. Andante and then with the just the slightest of pauses comes the fun movement 3. Rondo - Allegro. Please turn up the volume and enjoy these great concertos that many times will be "blowin' in the concert Halls". Hope my collection will bring a new look to the world of ringtones and the best electronic ringtones for your mobile phone. I need your evaluation. thank you!